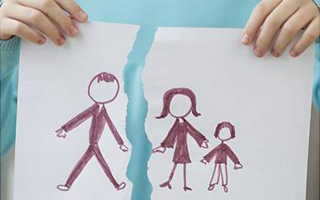 Following the rather painful breakdown of their 12 year marriage, Richard and Liz knew the division of their shared property portfolio and ongoing issues with their two children could get complicated. Although emotions were running high, the two still shared an inner desire to try and sort things out amicably. They realised they needed help from an independent mediator and made contact with Victoria Syvret here at Burd Ward. Victoria, who is a fully qualified mediator and member of Resolution is also an experienced Family Lawyer and so understands the intricacies of complicated relationship issues and is extremely sensitive to the need to try and ‘work things out’. Ultimately the couple, with the help of Victoria, were able to work through their issues and come up with sensible arrangements for both their business interests and their young family which ultimately benefitted everyone. Critically they were able to avoid any costly Court intervention and the whole family were considered throughout. We really could not have sorted this messy situation out so amicably without the help and support of Victoria. Emotions were running high and neither of us were thinking straight but Vicki was there every step of the way with sensible, straight forward advice that ultimately made sense for all of us. Are you in a similar situation? Email Victoria Syvret at vs@burdward.co.uk for further information regarding mediation.